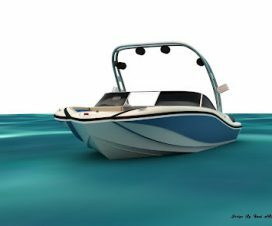 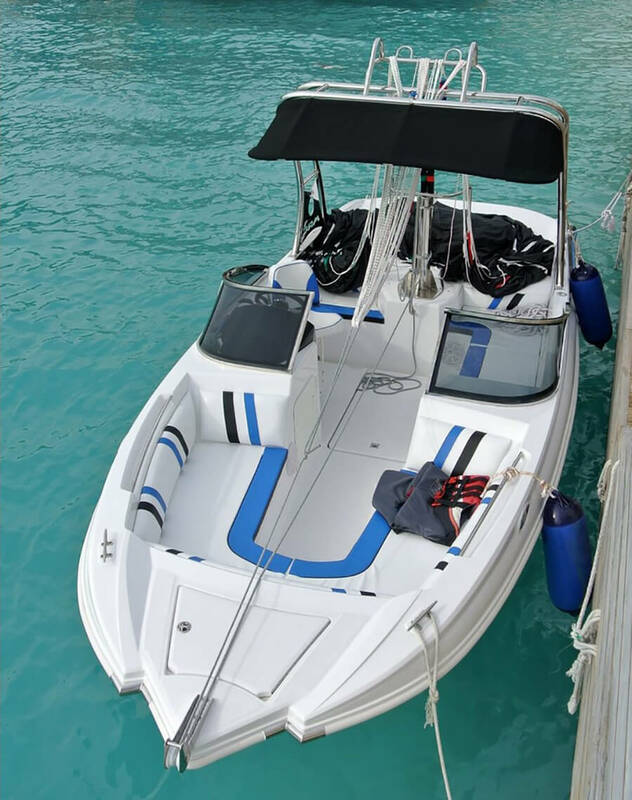 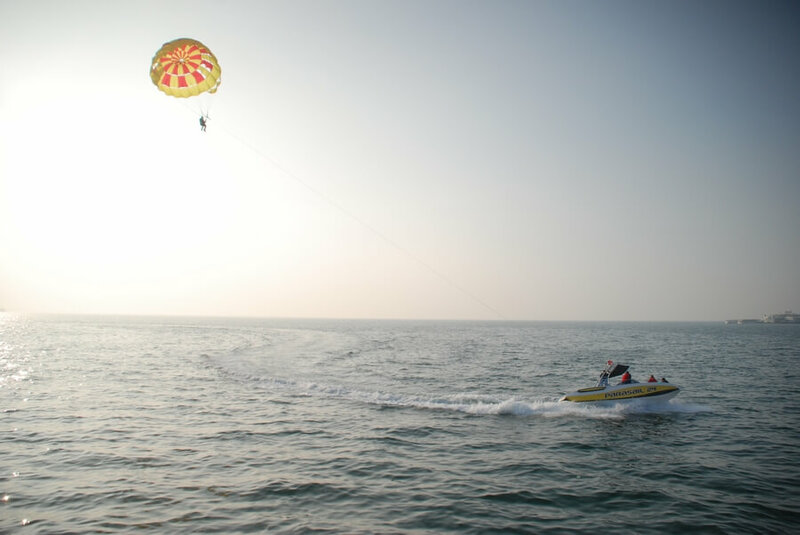 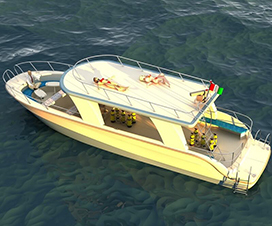 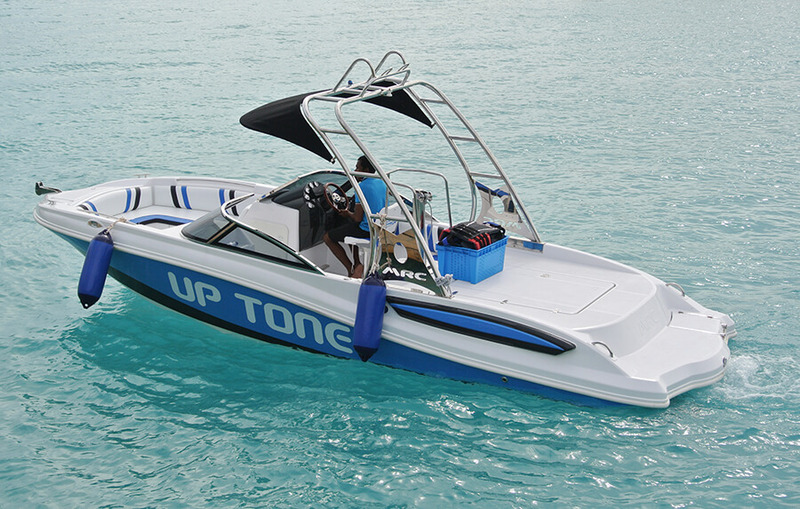 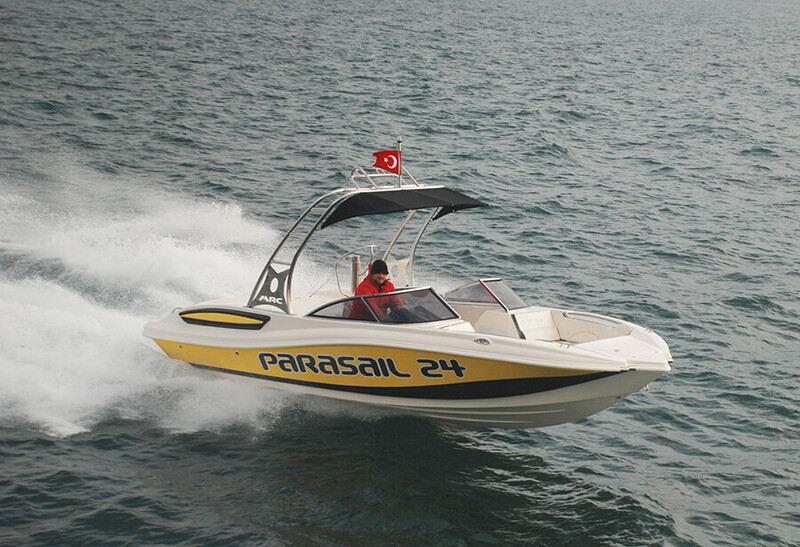 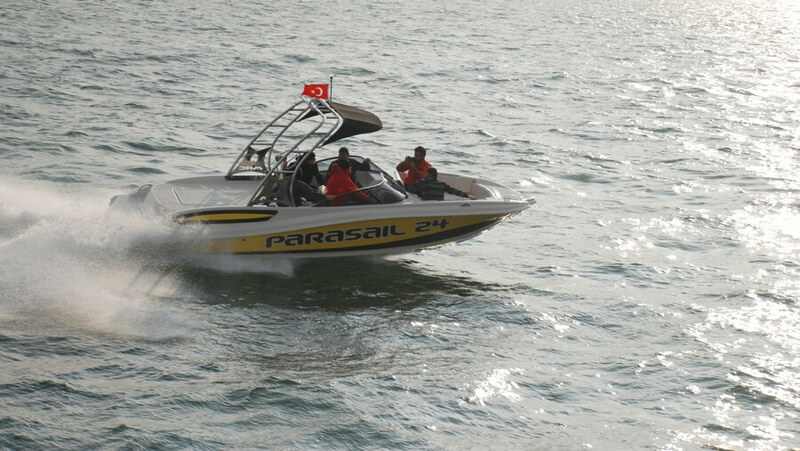 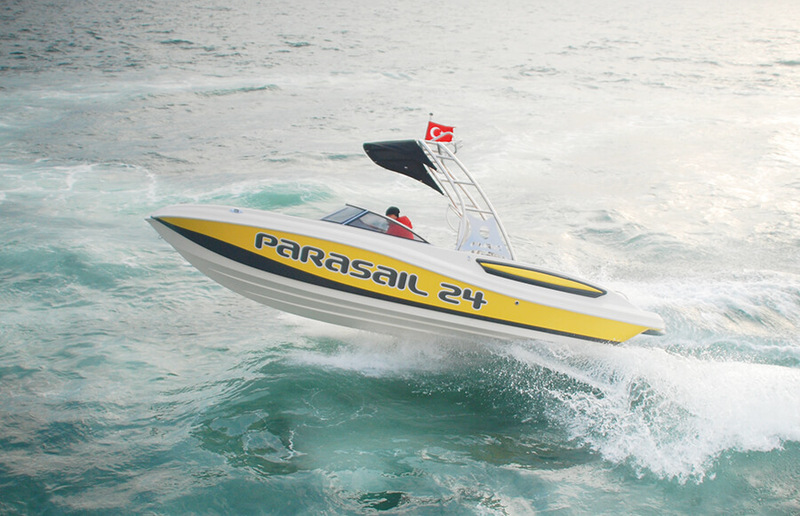 Parasailing boat design is a sports boat suitable for use work, to be used for commercial purpose and sporty appearance. 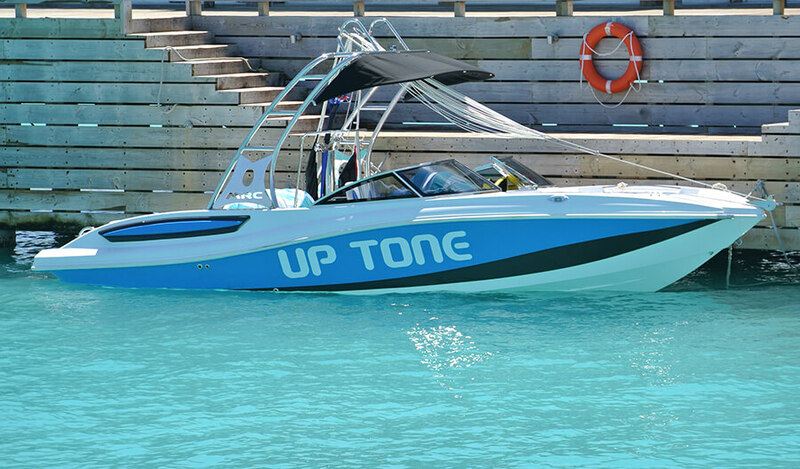 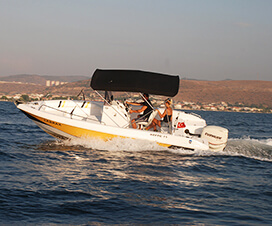 The boat use in watersport business. 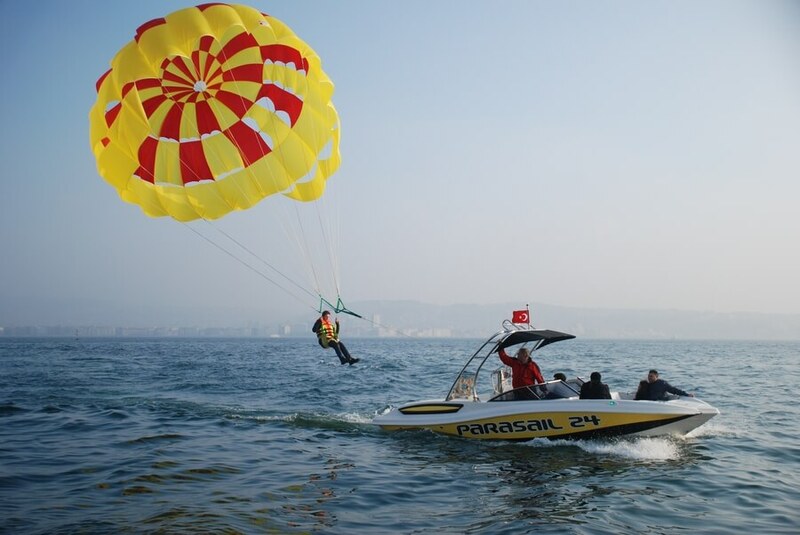 Parasailing 24 capacity is 7 people. 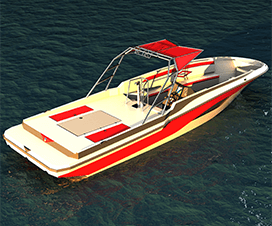 You can choose with sterndrive or jet system. 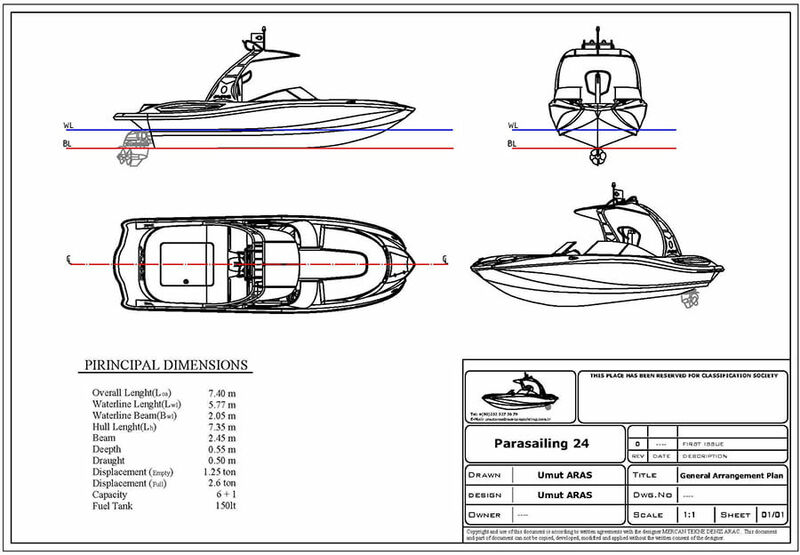 Boat performance is very important in this project. 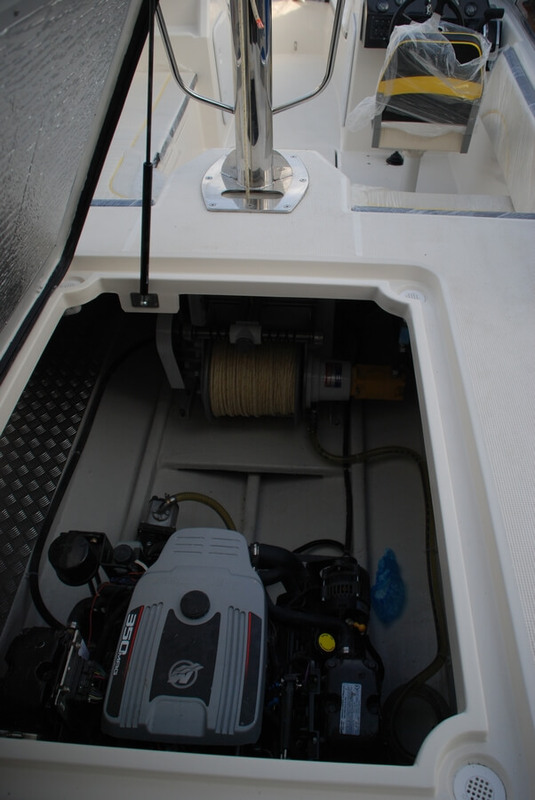 The boat use with between 220-320Hp diesel or gasoline engine. 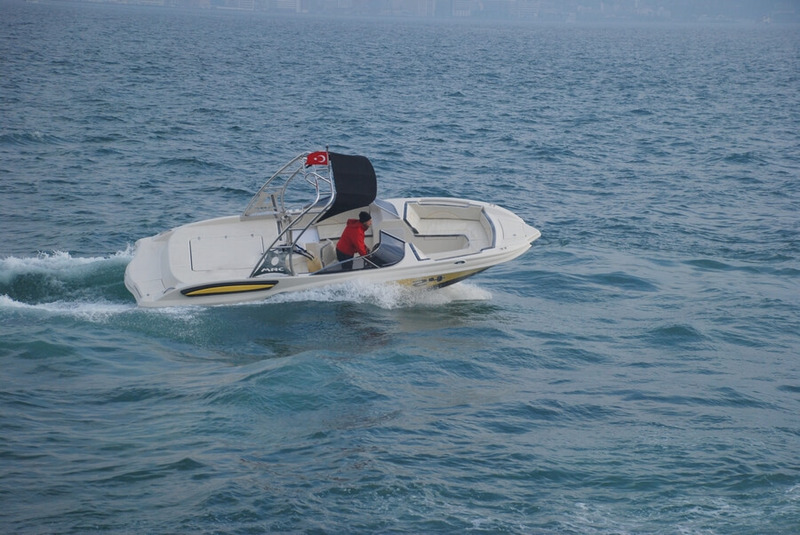 It is a very useful and low cost treadmill for beginners in water sports. 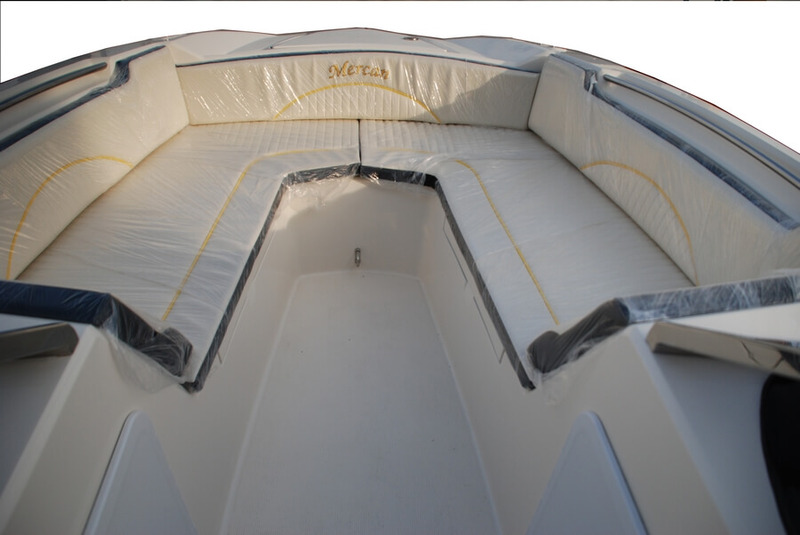 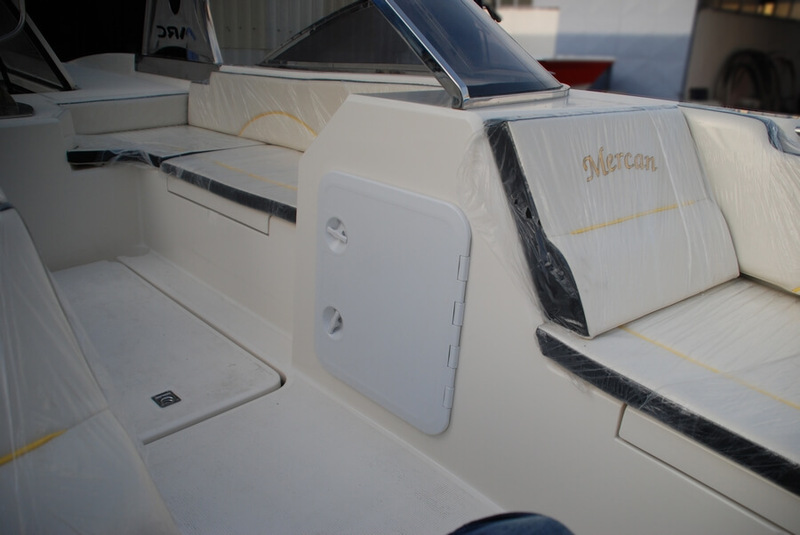 The boat has a storage area for parasailing equipment. 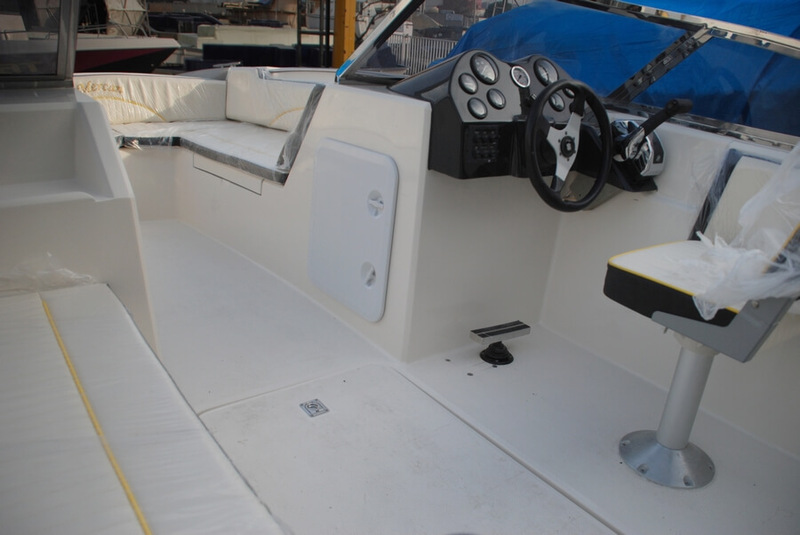 Also, the boat has a multifunctional mission. 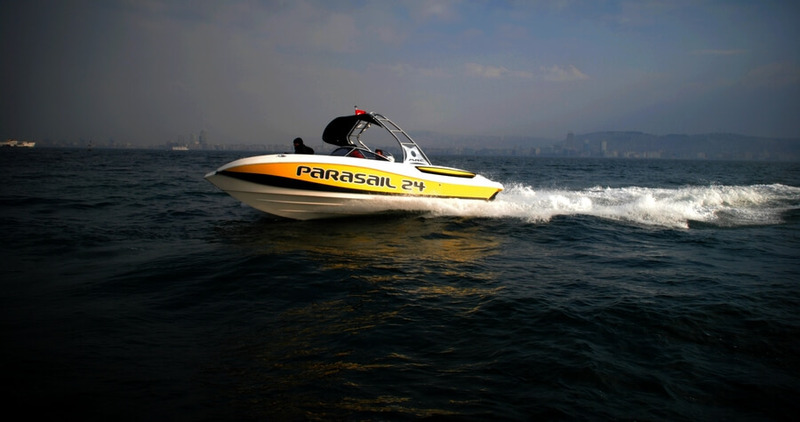 These missions: parasailing boat, wakeboard boat, and towing boat.